I created a custom profile field for Membership #, and everything works great, except wondering why the number shows blank for non admins in the list of Users? See screenshot attached. Membership number shows blank for the other Roles, but will show on this screen for admins. Those members have their Member #s populated, if you click Edit you can see them there, but need them to show on this screen. It seems you're not using the custom profile fields normally. Did you customize it with some code to populate that field? If so, could you share what you did? That way I may be able to spot something that might cause this behavior. I used the "Registration/Profile Fields & Options" tab under General Options. 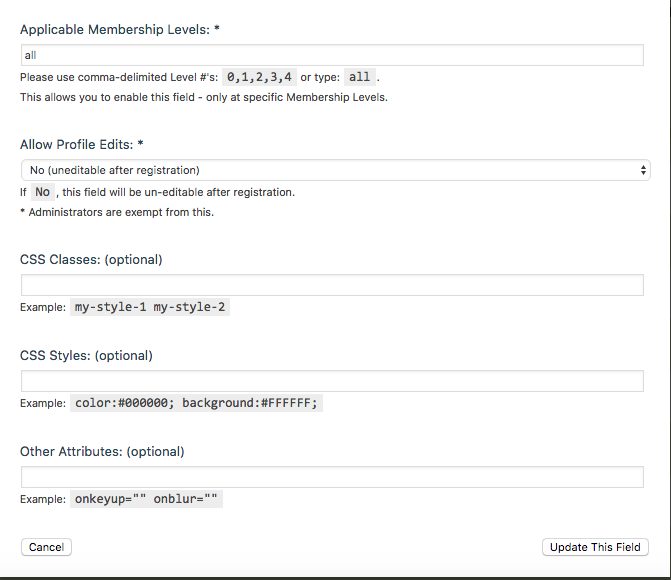 Created a Custom Profile Field (See screenshot), this field is only for internal use. There was no custom code or anything other than adding this field in the options. It shows and is populated when editing a users profile internally, but does not show in the list of users. Ah, got it. I thought it got populated automatically. Okay, so you add the value manually. 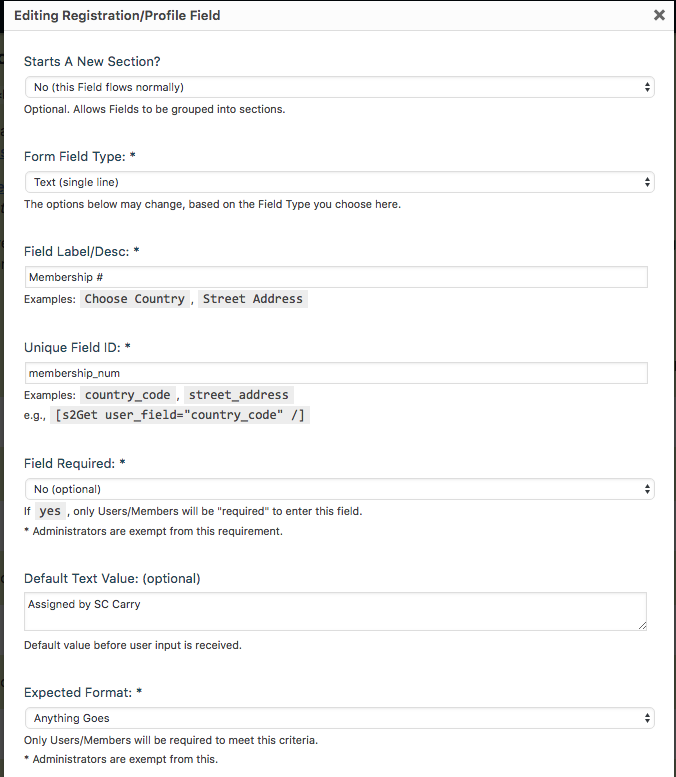 Does the same behavior happen for other custom fields? Could you create and try another one as a test? It actually is working properly for other custom fields. 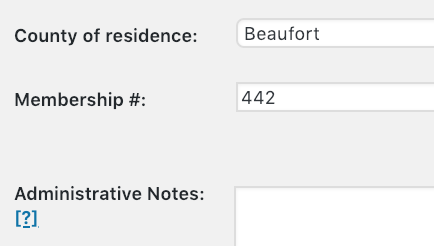 The “county of residence” field above that field is a custom field, and populates as you can see in the screens correctly, next to the membership number field. Definitely scratching my head. Could you try making another field just like it, and testing if it has the same behavior? Then try making small changes to the profile field's settings, one at a time, and see if it changes the behavior.